The Warriors’ Simon Harmer was at it again as he picked up 7-89 against the table-topping Cape Cobras in Newlands to earn himself Wednesday’s Turbo Bowler award, writes ANITHA MADIKIZELA. The veteran off-spinner was at his destructive best once again for the Warriors as he captured a herculean 7-89 to put the visitors in command of their CSA 4-Day Franchise Series encounter, in so doing rattling through the Cobras’ batting order in the second innings. 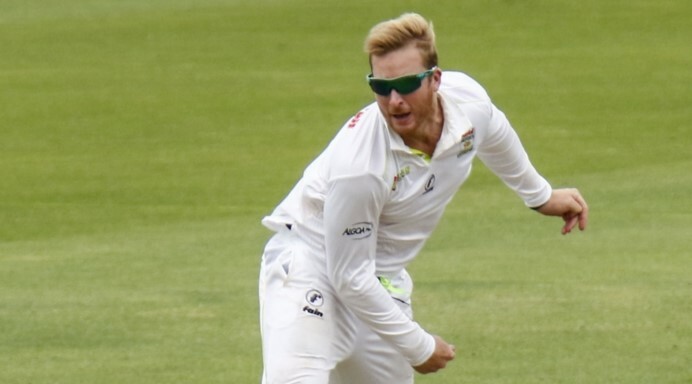 Harmer has extended his lead as South Africa’s top wicket-taker in domestic first-class franchise cricket with a world-class performance that saw him walk away with match figures of 9-121, leaving the Cobras shell-shocked at the end of day three. Congratulations to @WarriorsCrickEC and @EssexCricket off spinner @SimonHarmerRSA for today becoming SA's all time franchise FC wicket taker! The ever-dangerous off-spinner had already pocketed the wickets of opener Matthew Kleinveldt (12 off 29 balls) and namesake Simon Khomari on Tuesday, before he continued his onslaught by bagging five additional wickets on day three. His list of victims included the vital wickets of David Bedingham (90 off 144 balls, 14×4) and Jason Smith (69 off 109 balls, 9×4 2×6) just as they were hitting their straps. 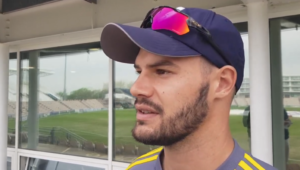 Harmer played a leading role in restricting the Cobras to 309 all out in the second innings, leaving the Warriors with a target of 205 for victory. The Warriors will resume their second innings on Thursday on 109-3, with captain Jon-Jon Smuts (25) and Lesiba Ngoepe (6) at the crease as they look to chase down the 97 runs needed for a vital away victory.